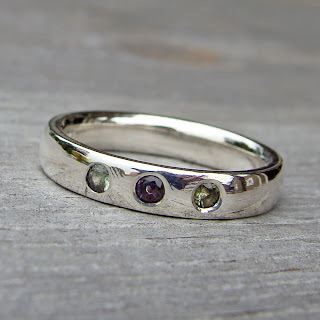 Here's a custom wedding band I just made - I thought the bride and groom had a sweet idea - they had me place their own birthstones, as well as their daughter's, equidistant around the band, along with a bunch of moissanites. 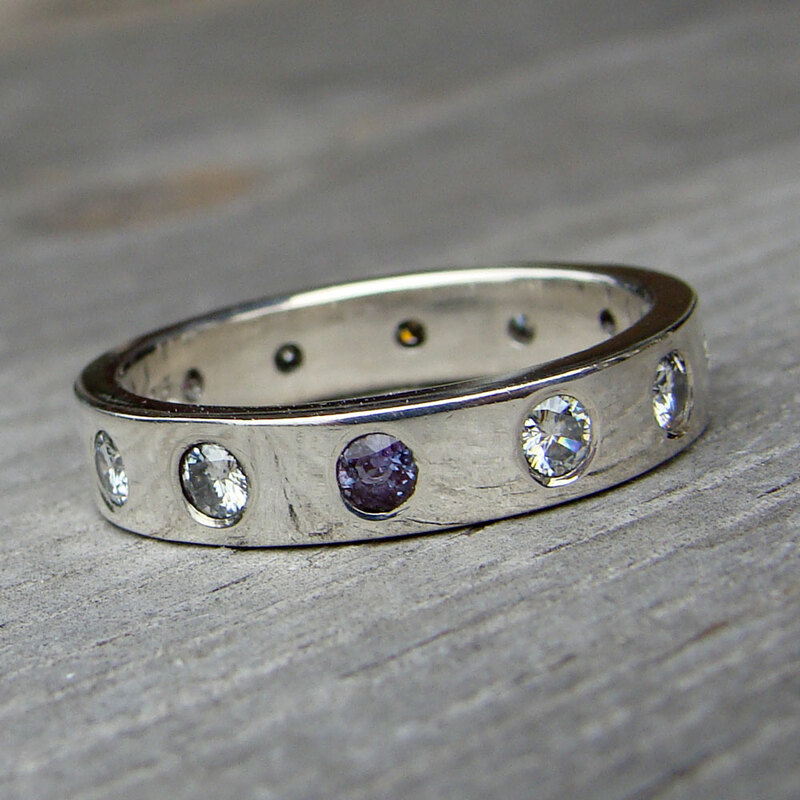 This is another custom set - a fair trade Malawi sapphire with two fair trade black spinels; the bezel is 14k white gold and the bands are palladium sterling silver (all recycled of course). 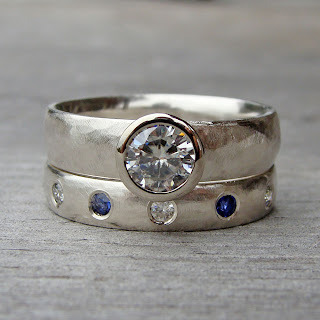 These were made in a no-spin shape at the customer's request. 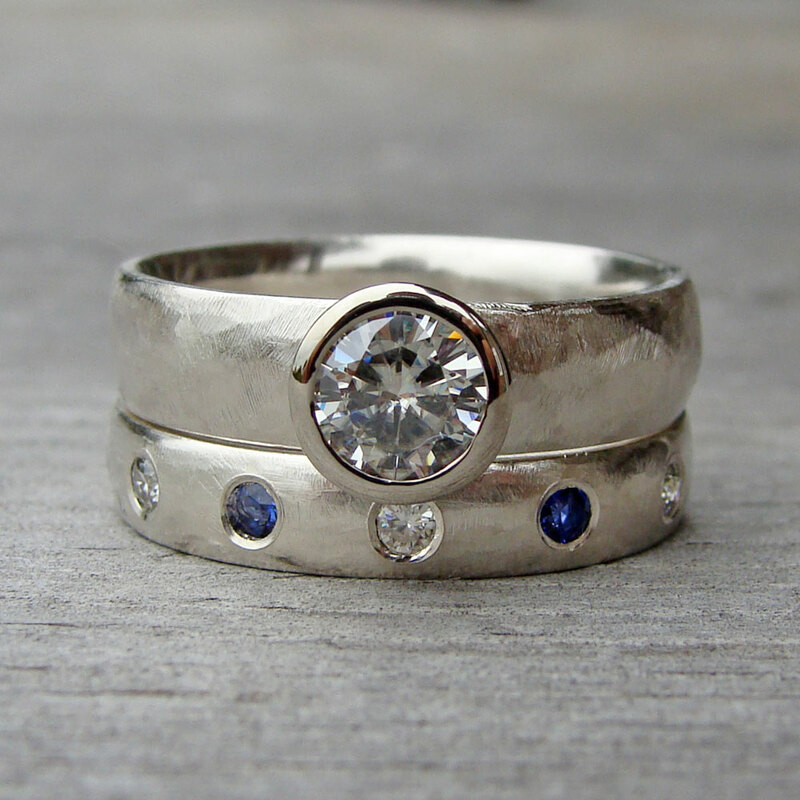 Next up, a lovely 5.5mm moissanite in a recycled 14k white gold bezel on a recycled palladium sterling silver band, along with a matching wedding band studded with tiny moissanites and sapphires. 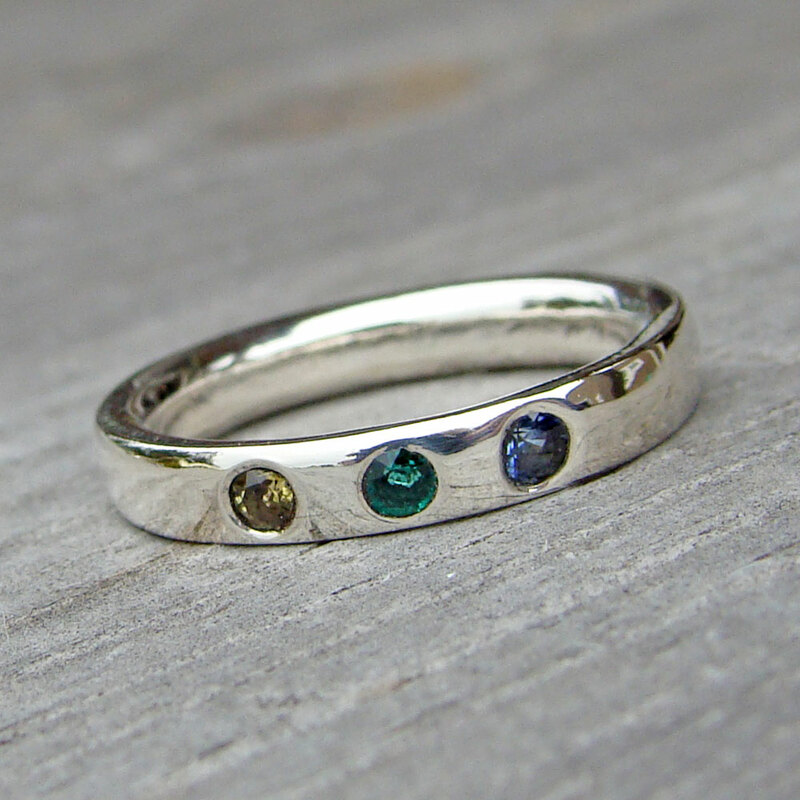 Another custom order - yellow sapphire, emerald, and blue sapphire wedding band in palladium sterling silver. 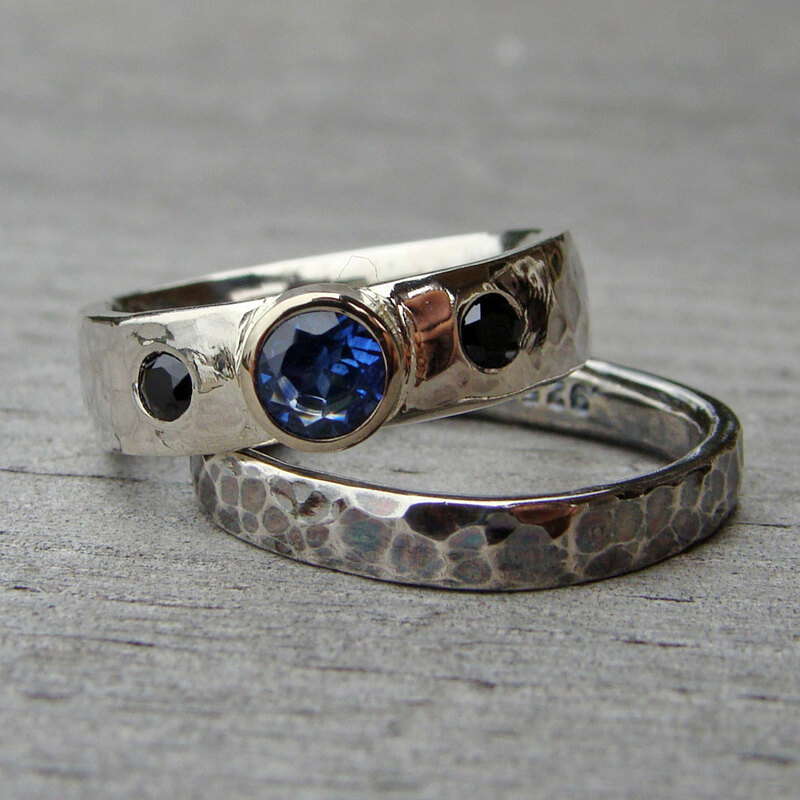 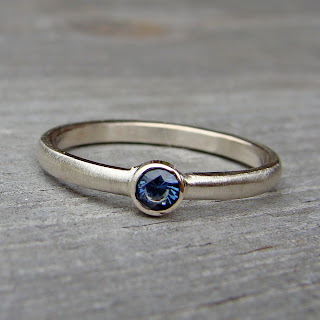 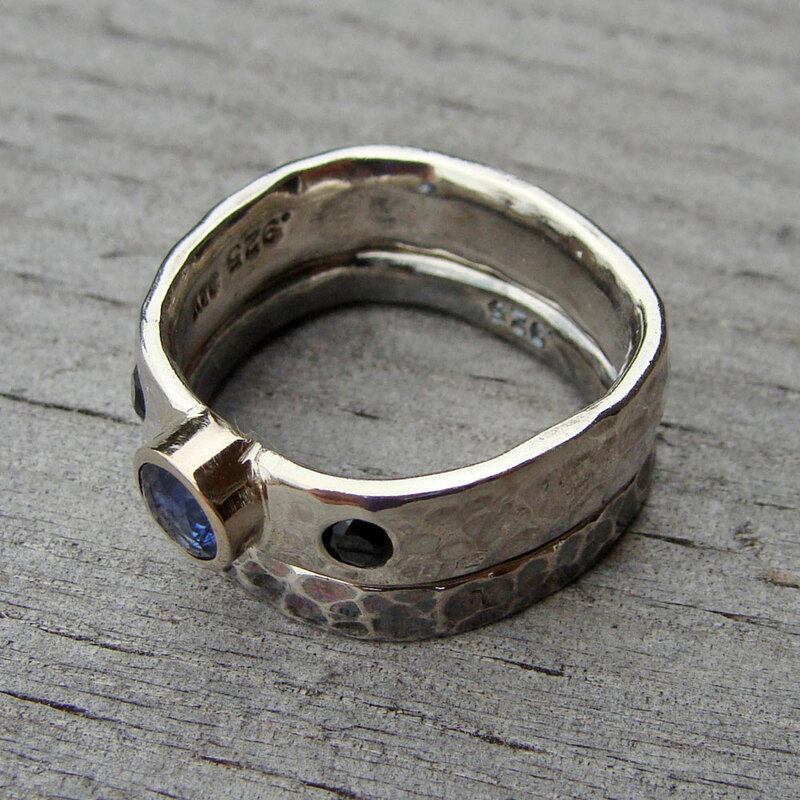 A tiny (3mm) fair trade sapphire on a delicate recycled 14k white gold band (also a custom order). 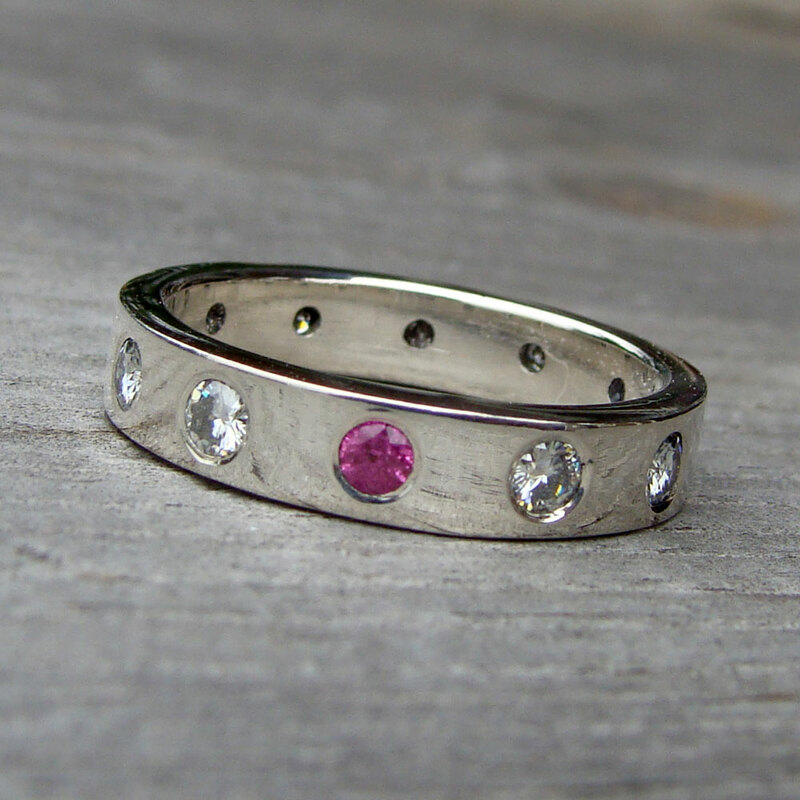 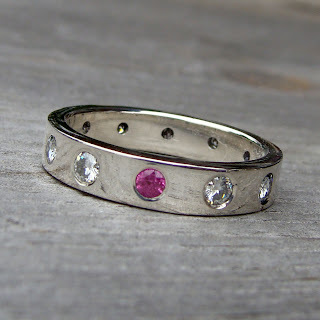 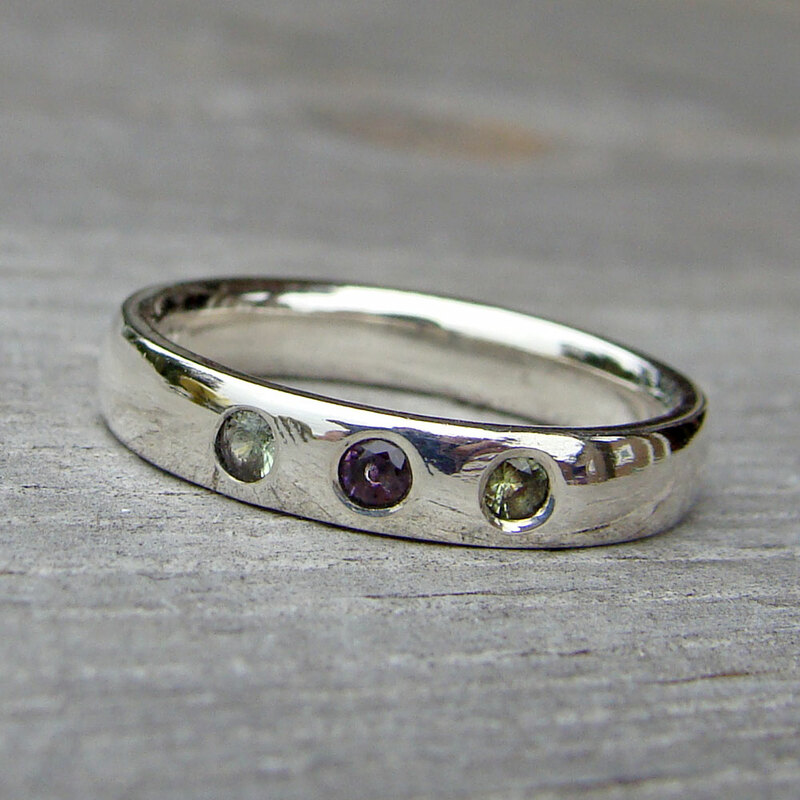 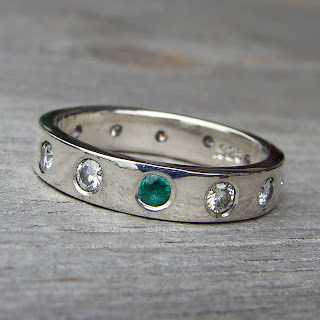 And another simple/colorful custom wedding band - this time recycled palladium sterling silver with fair trade amethyst and peridot. 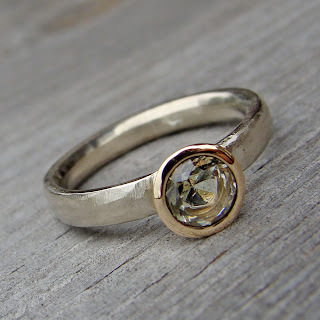 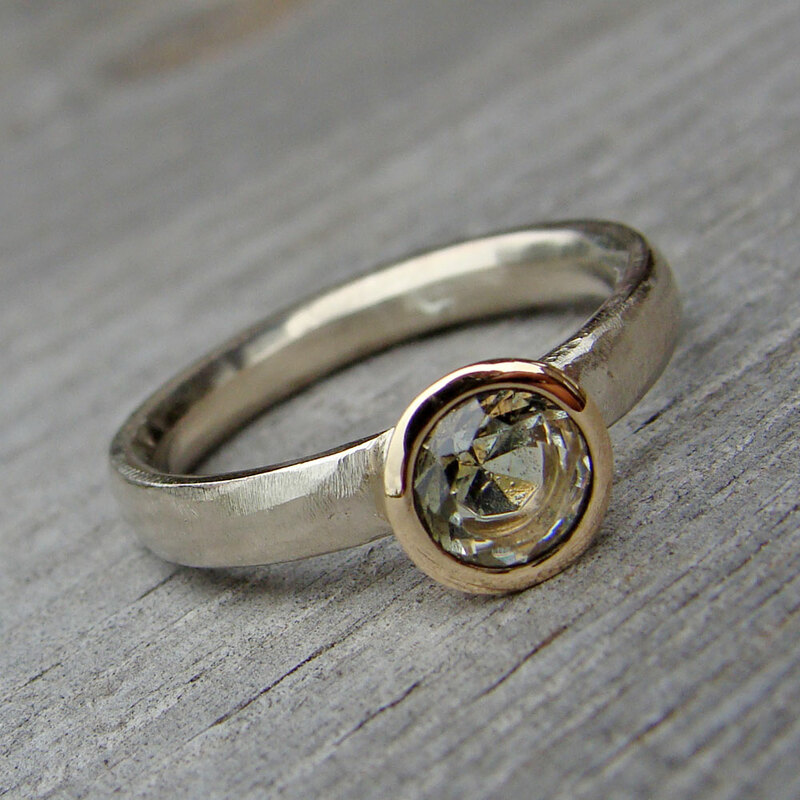 And finally, a lovely Oregon sunstone set in polished 14k yellow gold on a hand-textured 14k white gold band.